One of my favorite meals of our trip was the tonkatsu at Maisen. Maisen is an old and famous restaurant in Omotesando, the same part of Tokyo as the Bunbougu Cafe is in. Naoto’s sister, Hisae, took us there a few years ago and I’ve been dreaming of going back ever since. This time we made it happen. 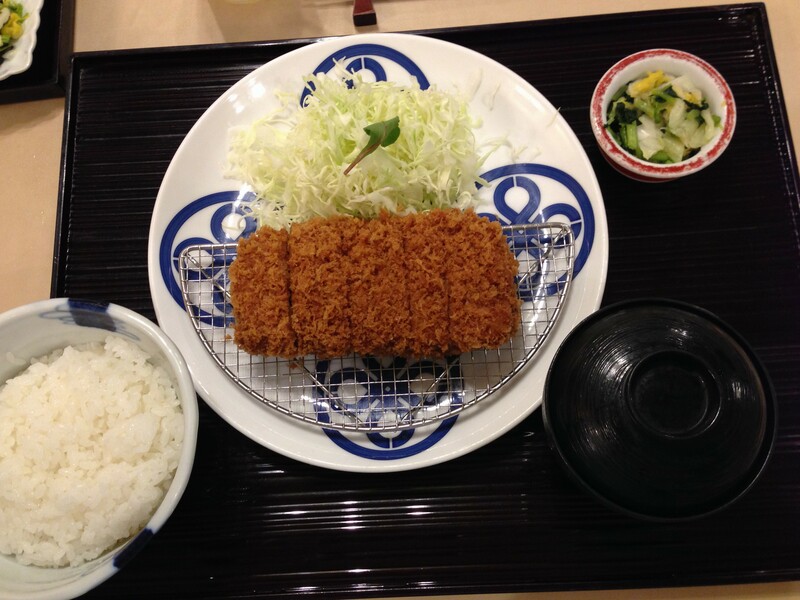 Tonkatsu is a fried pork cutlet (we had it at home for Christmas dinner once) with a delicious crust of panko breadcrumbs. At Maisen, it is served with miso soup, rice, pickled vegetables, and as much shredded cabbage as you can eat. (There are servers who walk around with giant baskets of cabbage, offering up refills throughout your meal.) I love that the tonkatsu is served on a little metal rack so the cutlet stays crisp until the very last bite. And the sauce!! The Maisen tonkatsu sauce is like a tangy barbecue sauce and it’s delicious on the pork AND on the cabbage. 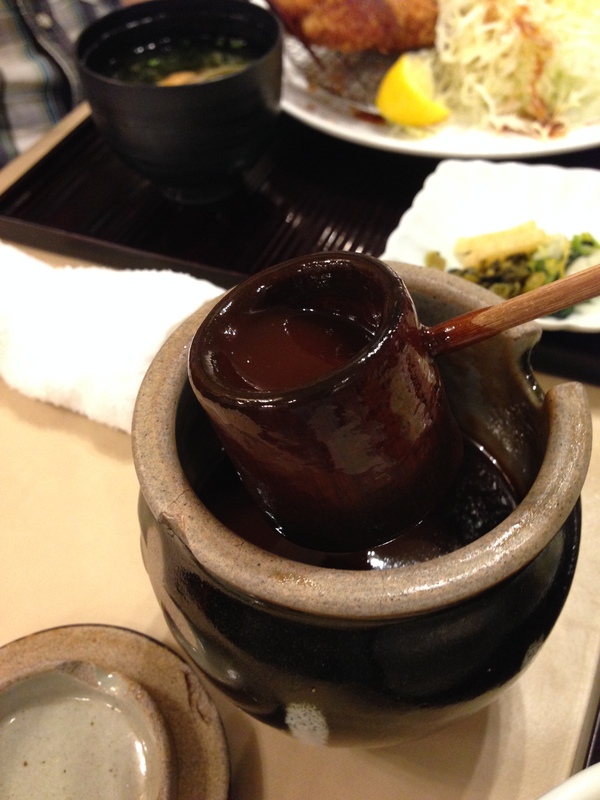 It’s similar to Bulldog Sauce (which is what we use on tonkatsu at home) but it’s richer and thicker. The main part of the restaurant is a former bath house dressing room (you can see pictures here) but there are also several other rooms and counters for dining. The first time we ate here, we ate in the main room, which feels very spacious and light with its high ceilings and sky lights. This time, the hostess said something about English speakers and stuck us in what I assume is the part of the restaurant where the servers speak English. (There were other families in the room with English speakers, so I can only assume that’s why we were all sitting together?) The big room had better atmosphere but the food was just as delicious! Oh, and my favorite silly part of Maisen is…they have a parking lot. It holds two cars. And there is a parking lot attendant. He’s not guarding the cars…Omotesando is a very nice neighborhood. He just stands there and bows to you as you walk by. Oh, Japan.